Some time ago I wrote about 15 vs 16 pound bowling balls and the differences when dropping a pound. 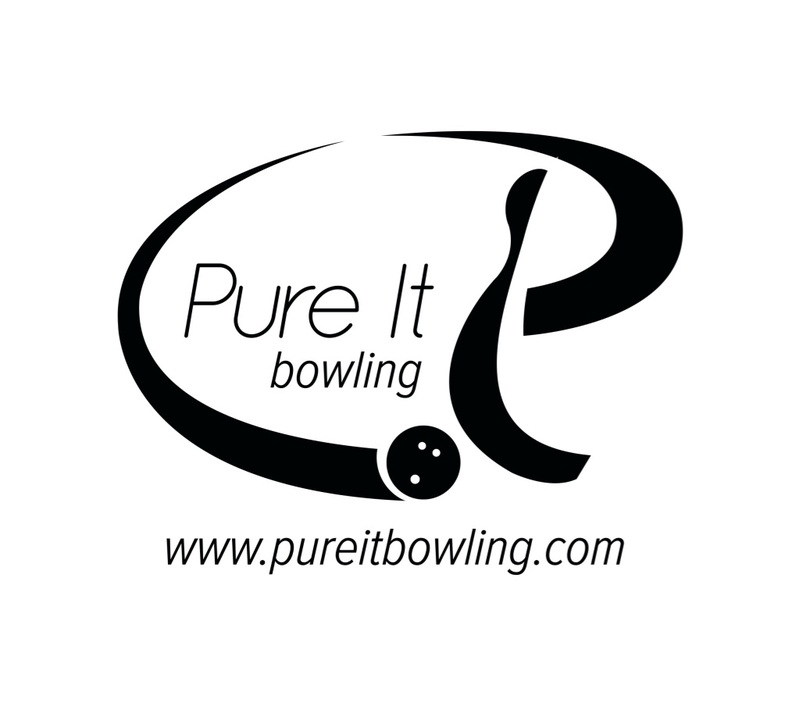 A majority of bowlers are throwing 15 pounds, with 16 pounds and then 14 pound equipment. It’s funny that years ago when 16 pound was the majority, it was thought to be less favorable to drop to 15 pound. You switched to 15 pound if you had an injury or couldn’t handle the 16 pound equipment. It became clear in fairly short order that the balls are so dynamic that what you lost in 1 pound of mass, you gained in angle and impact energy through other physical components besides mass. Things like increased deflection actually helped carry when the ball hooks so much. The USBC performed a pin carry study in 2009. When presenting the data, they asked attendees at a conference to watch some balls entering the pocket and deciding what weight each ball was. On strike balls, this is actually quite difficult to see. In the end, 16 pound balls will have slightly less deflection at the pocket. 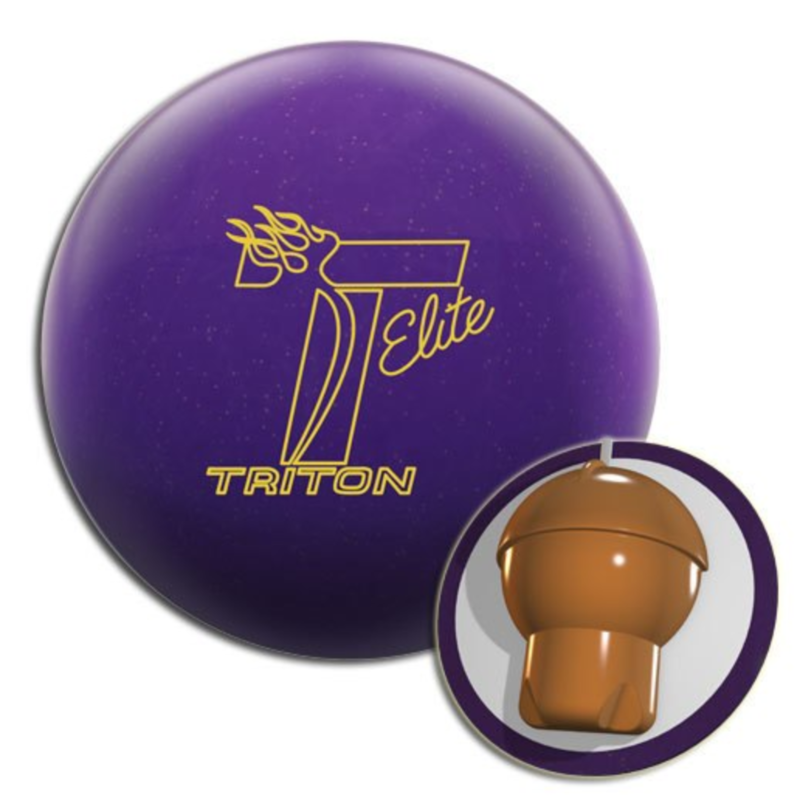 For lower rev bowlers, this may help carry. 15 pound balls will hook more than 16 pounds generally speaking and is more than dynamic enough to cover up the weight difference. There are again some tangible differences which can be used to one’s advantage, similar to having a ball with 2 different layouts or using different balls. Sometimes you are looking for a specific reaction to aid carry on a particular condition. However, I don’t expect most bowlers to have 16 and 15 pound balls in their bag. If you’ve read my previous blogs about my bicep injury, you will understand the extent of my injuries. It’s become clear after several years of recurrence that this will be a chronic issue. Part 1, Part 2, Part 3, and Part 4 of the injury saga are in the links. The last actual break I needed from re-injury was 2 years ago. It was towards the end of 2012 when I visited Lou Marquez at Turbo Tech. Along with some local coaching, we worked on changing my game. I made significant changes but at the same time had to cut down to bowling once a week. It’s extremely difficult to change your muscle memory bowling so little. I fought and fought my way back to being able to average decent enough with the “new me”. Nevertheless, as I increased my bowling to twice a week, I felt a soreness in my bicep. In the back of my mind, I always worried about re-injury. It crossed my mind to consider 14 pound but always quickly dismissed it. It’s almost considered taboo like it was when we first started switching from 16 to 15 pounds. I finally got tired of feeling sore after 7 games or so and decided to give it a shot. In the summer, I started the latest journey. I picked up a used ball to give it a try. It felt comfortable enough. I then decided to get a few balls for an arsenal to see how it would work out. Bowled with 14 pounds for 2 months. Frankly, I was very frustrated. My average went down 10 pins and I felt like my carry was suffering. I had a brief stint back to 15 pounds. My average went back up. Guess what I quickly found, my arm hurt after bowling again. So that small test clearly helped me realize that 14 pound will definitely make a physical difference for me. I was able to bowl 20 or more games in a week without bicep soreness. That was all the revelation I needed to decide I will stick it out. If it meant I could bowl, it was worth losing 10 pins on my average. What about 14 pound bowling balls? Now I don’t want you leaving thinking you will lose 10 pins on your average so let’s discuss a bit more. I’ve been using 14 pounds for 3 consecutive months now, 4 months in total. My average is back to where it was. But how did I get here? It was a matter of getting used to some technical differences which I will highlight. Once you do so, you will likely find no substantive average difference but perhaps get some physical relief. For me, it was worth it and a long time coming. The 14 pound equipment seems to have more length than the 15 pound equipment. There are a couple of reasons for this. First is that it’s lighter and easier to throw harder. Second is that lighter balls tend to have higher RG core designs. The weightblock itself has a higher relative mass to the overall weight of the ball. You should keep this in mind when switching and feeling like the ball is going too long. You may want to consider “low RG” layouts. That would be layouts that let the ball get into a roll sooner, shorter pin to PAP layouts. I’ve tried this several times (pins under 3 inches) and it has worked extremely well. These type of layouts work out better from more direct lines but I’m putting it out there as pro shop operators rarely offer pins that close to the PAP. As mentioned above, naturally a lighter ball will be easier to throw harder. It’s just something to realize at the outset. Fairly quickly, it will settle down and you will begin to throw it at “normal” speed again. Depending on how much overall strength you have, you may continue to throw 14 a bit harder than 15. In the beginning, due to the lighter weight, it will be easier to throw. That can add some unnecessary “sway” in the swing. On the backswing, you may have “too much” control. In other words, you could be losing the natural pendulum which comes with an object attached to the end of your arm when it’s too light. Think about swinging your arm with a tennis ball. The tennis ball will have very little influence on your arm’s swing. The only point here is that the lighter the object at the end of that pendulum, the more potential you have to “muscle” it. In time, this will settle down. If it doesn’t then the ball is likely too light for you, period. There is potential for 14 pound to hook more than 15 pounds. That’s partially do to a possible small increase in rev rate and overpowering. This could be tempered a bit by speed. As your speed comes back towards your normal, hook should be very similar to what your 15 pound was. It is possible you simply continue to get more hook with 14 pounds. You will need to get used to some change here. The USBC Pin Carry Study created a set of “strike percentage to offset” plots. This shows the percentage of striking in relation to ball entry offset from the headpin based on entry angle. They studies at 2, 4, and 6 degree entry angles. This is interesting in and of itself. However, ball weight affects these plots. Meaning you may leave pins you didn’t expect at times. Corner pin leaves don’t appear to change much (10 pin for righty and 7 pin for lefty). However, you will find a couple more stone 8s for righties and 9s for lefties, especially when you first switch. Opposite corner leaves seem a bit more likely with 14 pounds in my opinion (7s for righties and 10s for lefties). Another noticeable difference is the “potential” pocket 7-10 leaves. For whatever reason, probably the same reason that opposite corners happen more often, 7-10s just are left more often on pocket shots. Then again, 6-8s and 4-9s are left less frequently on higher shots. I haven’t done a proper statistical analysis so this is more anecdotal. In the end, the justification is in your average. My average is as it was prior to the switch so I feel justified in the observations. Bottom line is that it seems to balance out. You just have to be prepared to see some different pin leaves. There will always be the bowler next to you saying, “throw ‘man weight’ and you won’t leave that.” Don’t be discouraged by the leaves or the other bowlers’ remarks. You will be better for it. It is more possible to affect change in your Positive Axis Point. Many don’t believe this can be significantly affected. If you are very flexible in terms of changes in hand and wrist positions, you are more likely to be able to affect change to your PAP. Bottom line is you will have to start with whatever you know your PAP to be. However, you will need to ensure that it is remeasured in case it has changed. While most, if not all manufacturers maintain the same core shape between 13-16 pounds, some vary their specs more than others. Storm balls for instance tend to increase their RG as the ball weight drops. Other manufacturers like Brunswick and some Ebonite International brands maintain a closer RG despite the decreased overall weight. Just keep in mind that there could be big variations in RG and differential. Take my favorite ball of all time, the Storm Hy-Road. At 15 pounds, RG is 2.57 and diff is .046. Go t0 14 and the RG is 2.58 with diff of .037. Go to 16 and RG is 2.52 and diff is .058. That seems like a pretty wide variation between 16 and 14. Just keep an eye on this as the ball reaction may not be exactly as you were accustomed to if you had the same ball in a different weight. Clearly, I’m not addressing those who have no issues using 15 or 16 pounds here. If you can throw them, why not? Ultimately mass is mass. Plus if you “man-handle” the ball, there is a likelihood that you will actually become less accurate. What I’m saying is that you should have a reason to throw what you throw. It’s going to be important to test 14 pound piece by piece to understand the impact of layouts, etc. If you go out and buy a full arsenal before you know how you throw the new weight, it could lead to frustration with different ball reaction than you used to have. Some new layouts may be in order so take your time and don’t give up. I know when I switched all my pin up layouts just weren’t working the way they used to. They turned out too long and more snappy than they ever were. In the end, if you are considering 14 pounds but are afraid either because you are worried about carry or being considered “soft”, ignore those fears. Carry issues are a misconception. People’s perceptions are BS, who cares. You will feel better and thank yourself. Your body will thank you. Your ego will be happy when you can bowl more and still score. I am a senior and I have a storm marvel, roto grip 4 years old. They are 14 lbs. We bowl on a lot of dry back ends. I hook it about 10 to 12 boards because of the dry back ends and ball speed of 11.5 to 12.9. I am looking for new balls that will go down the lane without extra mussel power. I need one that I can swing and 1 that will finish on the back going straight. Hi Roger. Thanks for your question. I haven’t seen you bowl so this would be a more generic response in terms of ball reaction. The one thing to note is that Storm and Roto Grip RG specs for their cores go up in 14lb equipment. Without getting technical, that means the balls will naturally want to go longer. With that being said, I believe balls like the Sky Rocket, HyRoad, Match Pearl, Wreck-It, Wrecker are all ones that should get down lane fairly easily on medium or light conditions. More snappy down lane would be Hy-Road and Match Pearl. A little smoother down lane would be the Sky Rocket, and Roto balls. There are other balls from other manufacturers but will stop there until you have a chance to review. Good Luck! I’m a casual bowler and my 10 year old son likes to bowl so we’ve been going to the Brunswick Zone every Saturday. I’ve had an old Eclipse 16 lb ball for many years and I was told it’s basically a “house ball that Walmart sold”. I don’t remember where I got it, but I basically just throw it straight hoping to hit the pocket. I got talking to a fellow bowler a couple lanes down and we were discussing technique, ball weight, etc. He told me I didn’t need such a heavy ball and I agreed with him after thinking about it for a bit. The 16 is heavy and I really don’t enjoy bowling with it, but I was wrapped the “the heavier the ball, the better pin action” lie for so many years. 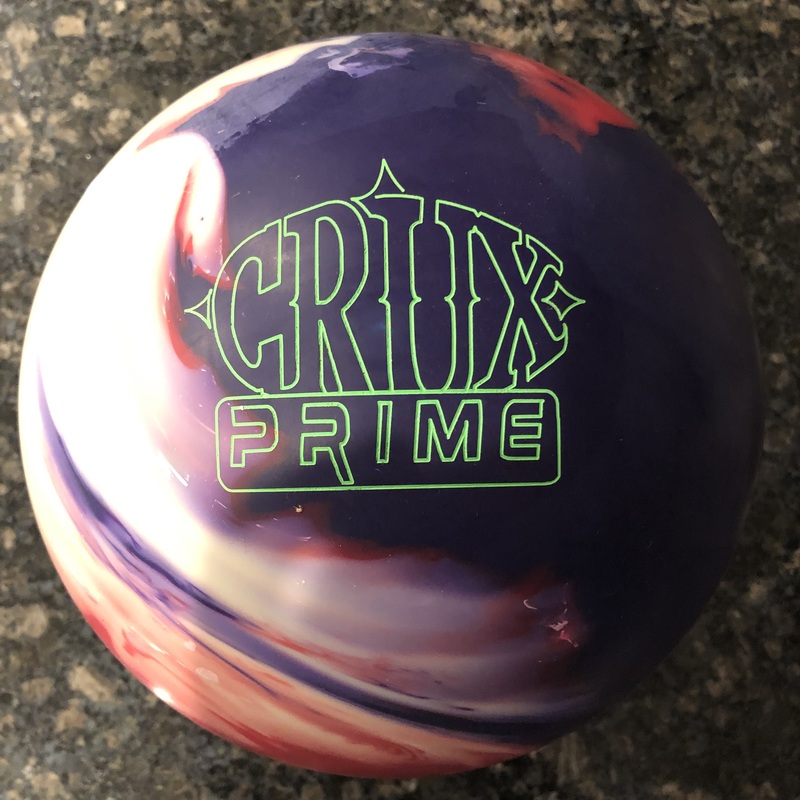 I am in the market for a 14 lb ball (going to 15, to me, would still be on the heavy side in my opinion) and since the lanes where I bowl are pretty much medium to heavy oil (so I was told by my new bowling friend), I wanted to get a ball that would benefit from such lanes. My friend was trying to talk me (and my son) into getting a ball with just the fingertips drilled. I “tried one on” in the Pro Shop and it was so uncomfortable to hold and swing. I think I will just stick to the traditional finger holes. I throw a pretty much straight ball, but would like a ball that would have some “built-in” hook or curve potential; if I ever decided to use my wrists to do so. Could you give me two or three ball recommendations? And should I buy them directly from the pro shop or online (Amazon, etc.) and just have the pro shop drill it? Thanks so much in advance for your opinion! Anyway, there are many points to address in your message so let’s take them one by one. 1. Ball weight. To keep it simple, yes 14 or 15 lb would be fine. 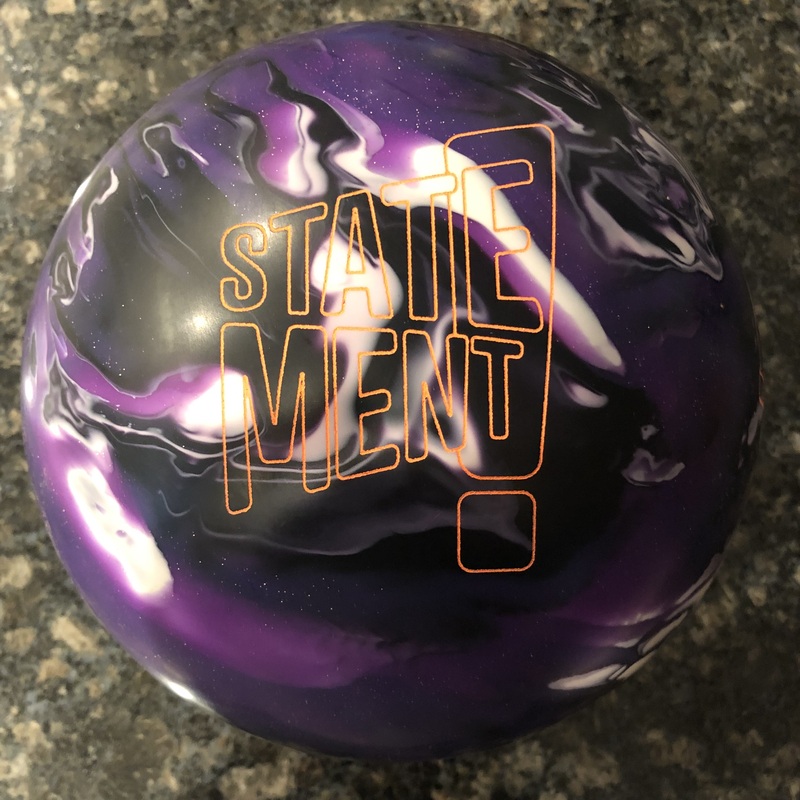 Of course there are laws of physics and if you chose to continue to throw the ball straight, then you don’t take advantage of the “dynamic” aspects of a bowling ball. Then, yes you may notice some reduced carry because the ball will deflect more. Just to put it in context, I had wrist surgery last year and now use 14 exclusively. I have no issues with carry. 2. Fit. If you have bad fit, a ball will always feel heavier. If you have a ball fitted to you, whether traditional or fingertip, it will feel the way it’s supposed to. If I pick up a 14lb house ball with massive holes, it feels heavy as all get out. 3. Fit part 2. If you want to advance you game, you should seriously consider a fingertip fitting. I recently transitioned my daughter to fingertip. She just turned 11. Again, a proper fit should not feel wrong. Assuming your hands are healthy, it may feel a little awkward to start. However, releasing the ball a few times will make that feeling go away and you won’t understand why you threw it with the traditional fit for so long. Some lessons from a “good” coach would help. I’m not talking anything complex, but some basics would help off the bat. 4. Ball recommendation. This really depends on what you decide to do. If you will stick with a traditional fit going to your second knuckle, then it really is of no benefit to go out and spend tons of money on a ball. The most I would recommend might be a Storm Joy Ride, Roto Grip Hustle, Brunswick Rhino. I would not recommend trying to make it hook “with your wrist”. You will just build up bad habits. 5. Overall recommendation. I think you should seriously consider drilling fingertip and trying it out. Even for your son with say a 10 or 12 pound ball could give it a go. But this will really be a substantial step for you with the game. Think of it this way. Right now you are playing mini golf. As long as that’s all you play, you could keep using the house putter. If you enjoy the game, you might want to start playing pitch and putt. Now you want to have a couple of clubs. Here’s where you have to decide if you’re ready to move on or if you enjoy bowling the same way as mini golf. 6. Pro shop. I would suggest to go with a local pro shop from a recommendation. Honestly, with the low end balls, you won’t save anything getting it online and you will have an opportunity to establish a relationship with your pro shop operator who can help you with your game. Thanks for all the advice! I might do the fingertip thing. Not sure. Have to re-think it. Too bad I couldn’t actually try one out for a game or two. I really don’t want to buy a brand new ball, have it fingertip drilled, find out it’s not for me, then have them fill in the holes and redrill new holes. And although my son is 10, he is a toothpick and has a hard enough time with an 8 lb ball, let alone a 10 or 12. In the future, for sure, but not now. As far as balls go, I’ve been doing some research since I first emailed you and came across a Pyramid Blueprint Pearl Project ball which I currently have in their shopping cart. They will pay postage to have my current ball sent out to them so they can match up the finger holes, drill the new one and ship them both back for free. Everything is about $135. Or I can just buy the ball and have my pro shop drill it. Or just buy it directly from the pro shop; if they can order it. I’ll have to look into it. But seeing you recommend some other balls, I will definitely look at them as well! Hi Ed. Like I said, assuming your hand is healthy, you will not regret going to fingertip. And if you do go to fingertip, I would suggest a local pro shop with a good reputation. If you decide you want to stick with your current grip, that’s fine too. However, spending more than about 100 all in is really a waste of your money. If you want to hook the ball, then fingertip and more advanced equipment makes sense. If you want to throw it straight, then stick with your grip and polyester equipment since you will gain nothing by spending more so long as you throw the ball straight. For your son, typically the general guideline is 1 pound of ball for each 10 pounds he weighs. Whatever he is comfortable with is fine. You can certainly wait on the fingertip for him. Use whatever weight he is comfortable with. Well with that theory, he should be using a 6 Lb. ball! He barely weighs 60 lbs. I trust what you say about the fingertip. Maybe I will give it a shot. I was talking with a guy at the Brunswick Zone pro shop and he was telling me when you bowl fingertip-style, you have to use mainly the palm of your hand to bowl, not your fingers like the traditional way. Just hope I can get used to it.